Whether you're backpacking across Europe or visiting your family back home, travel insurance is a smart travel companion. Need help getting to the right plan? Answer a few questions and we'll guide you to the right travel insurance plan. Will your travel include the United States? Choose this option if you are in the USA for any part of your trip (even a layover) unless you are a U.S. resident traveling abroad. If you live in the USA and are traveling abroad or you live outside the USA and will not enter the USA during your trip. What best describes your reason for traveling? United States Resident Traveling Inside U.S.
Trip Protection Plan — The best option for most travelers. I need protection for non-refundable trip costs if I cancel, interrupt or delay my trip; baggage delay/loss; medical expenses and medical evacuation. I need high levels of protection for medical expense and medical evacuation. What type of medical benefits do you want? What's the difference between Scheduled Benefits & Comprehensive Benefits? Pricing is typically cheaper than comprehensive coverage. You pay less upfront for insurance and absorb more of the cost later. This plan has a medical limit for each injury or sickness. Payments are limited for each type of medical treatment or benefit. Example: Your medical limit is $65,000. The payment for a physician’s non‐surgical visit is limited to $65 per visit. If your bill is $100, the most we pay is $65, and you pay the remaining $35. Pricing is typically more expensive than scheduled benefits. You pay more upfront for insurance and receive greater coverage of costs later. This plan has a medical limit for your coverage period. There are no fixed payment limits for each type of medical treatment or benefit. Example: Your medical limit is $50,000, with no payment limit per visit for a physician’s non‐surgical visit. If your bill is $100, the most we pay is $100, leaving you with no remaining costs. This example does not account for deductibles or coinsurance nor does it consider that prior payments may have been made. Are you a resident of the U.S.? I need protection for travel abroad as a student, faculty member, or scholar. I need protection for multiple trips throughout the year. Specialized Medical Insurance Plans for Non-U.S. Citizens Immigrating to the U.S. Protect Your Trip Cost, Your Medical Expenses, and Your Belongings. Coverage outside your home country from 5 days to 3 years, comprehensive medical coverage, and 24-hour travel assistance. Protect your trip cost, medical expenses, and belongings or protect medical expenses only. Do you reside in the state of Washington, Colorado, New York, South Dakota, or Maryland? For more than 25 years, our travel insurance plans and 24/7 assistance services have helped people all over the world. Since we’ve been doing this awhile, we know how to navigate travel problems big and small. In fact, we were recently voted a top travel insurance provider by travelers themselves. We’re pretty proud of that! travel outside of your home country. Affordable medical coverage for visiting or immigrating to the USA. Protection for trip cost, medical expenses and your belongings. Specially Designed Plans for Students, Faculty & Scholars Traveling Abroad. 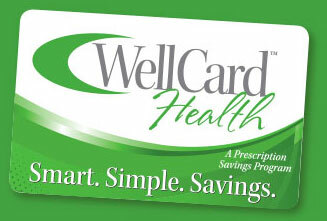 Discounts for prescriptions, dental, vision and more. Cashback when you shop at specified stores. Seven Corners Came to Our Rescue. his wife, and his dog. Hello, would you like to chat?